This week, three common-sense bills introduced by Democratic senators to curb gun violence following the school shooting in Parkland, Florida received their first committee hearings in the Ohio Senate. 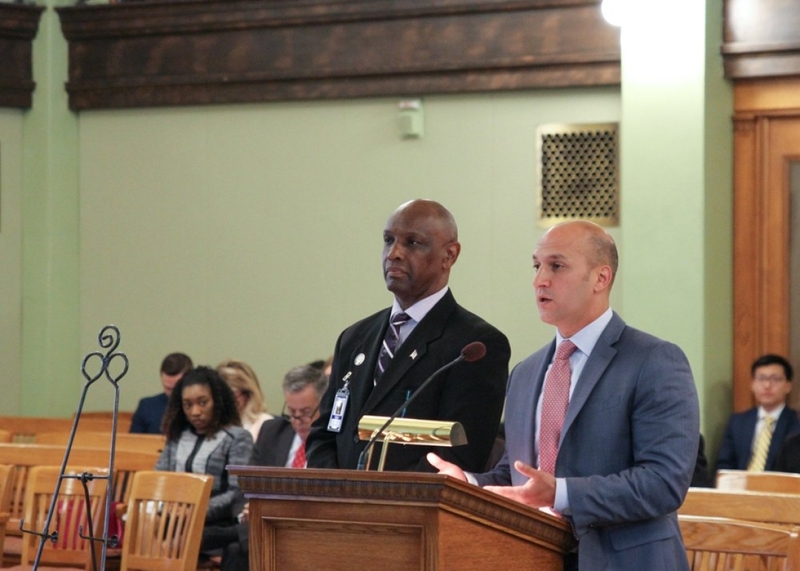 On Tuesday, Senator Schiavoni provided sponsor testimony before the Finance Committee on SB 258, which would provide non-competitive grants to school districts to increase or improve school safety measures. On Wednesday, Senators Sykes and Tavares gave sponsor testimony for SB 279 before the Government Oversight and Reform Committee. The legislation would require gun owners to keep their firearms housed in locked containers or secured by a trigger lock when a minor is present. Senators Thomas and Schiavoni also provided sponsor testimony in Government Oversight Committee on Wednesday on their legislation to implement universal background checks. SB 283 would require all firearm transactions to be processed by the National Instant Criminal Background Check System (NICS) at the point of transfer. A 2017 study showed that strengthening background checks is one of the strongest and most effective ways for states to reduce gun murders, and states with universal background check laws are found to have half the gun related suicide rate of states without them. “On average, Ohio loses 1,200 people to gun violence every year,” said Senator Schiavoni. “Evidence shows the states that have enacted this type of legislation have seen significant decreases in gun-related violence. I want Ohio to see that decrease."